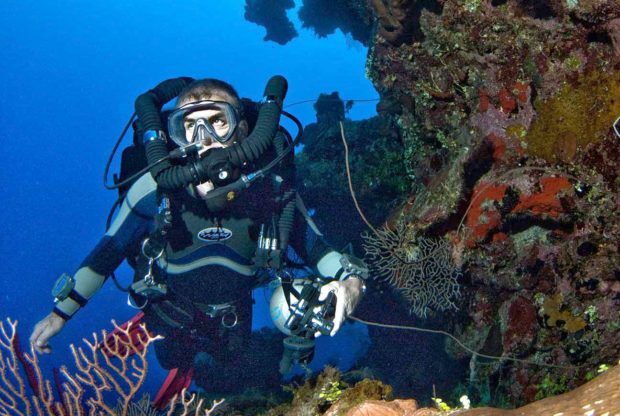 « PADI on rebreathers: Are they safe for recreational divers? The Professional Association of Diving Instructors (PADI), the world’s largest scuba training agency, has expanded its course offerings in recent months to include recreational rebreather instruction. What follows is the continuation of an interview with Mark Caney, PADI’s Vice President of Rebreather Technologies, published in the current issue of DIVER Magazine, available by subscription on this site or at select newsdealers. This entry was posted on Thursday, December 4th, 2014 at 8:44 pm	and is filed under Rebreathers, Technology, TecRec. You can follow any responses to this entry through the RSS 2.0 feed. Responses are currently closed, but you can trackback from your own site.